7 Days. 1,113 surgeries performed in Fajardo. For Round Two of the historic Spayathon, The Sato Project was again matched with Helping Paws Across Borders as our surgical team partner. Together at our location in Fajardo, PR, we completed 1,113 cat and dog sterilization surgeries over 7 days. Thanks to everything we learned in Round One, our team was able to prepare more in advance and have a better idea what to expect for Round Two. By the time Day 1 arrived, we were ready. The community of Fajardo was ready for us too. Every day we arrived to our clinic at 6am to a long line of pet owners already waiting to get in. By the last day, some of them had started lining up as early as 1 am. From the first moment we arrived, we felt very welcomed by the community of Fajardo and the need and appreciation for these services was immediately and constantly clear. 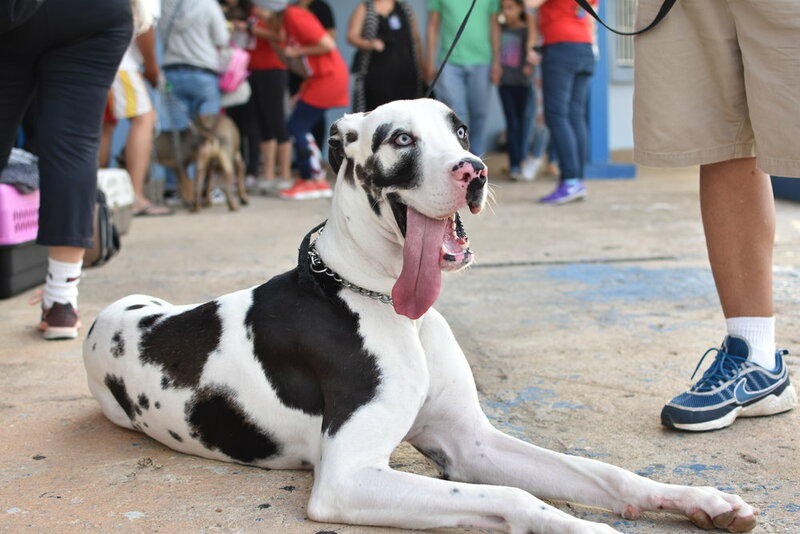 One pet owner described the Spayathon as a “miracle” for Puerto Rico and a “dream come true.” Another one looked out at all of the pets in the stadium and said, “look at all these people and pets you are serving - on behalf of all of them, I thank you. Thank you for caring about our island.” Several local pet owners who brought their pets in to get treated even came back to volunteer with us for the remaining days of the Spayathon because they wanted to help. It was very inspiring for us to serve so many more of these loving pet owners of Puerto Rico. Many of them shared stories with us of rescuing their own dogs and doing everything they can to help other homeless satos despite limited resources. One man came to The Spayathon with a small dog that he saw thrown out the window of a passing car in a Burger King parking lot. As soon as he witnessed this act of cruelty, he turned his car around, scooped her up, and has since being doing everything he can to help her health improve. He is just one example of the many kind people we met in Fajardo who helped demonstrate to us how much love there is for animals all across the island. 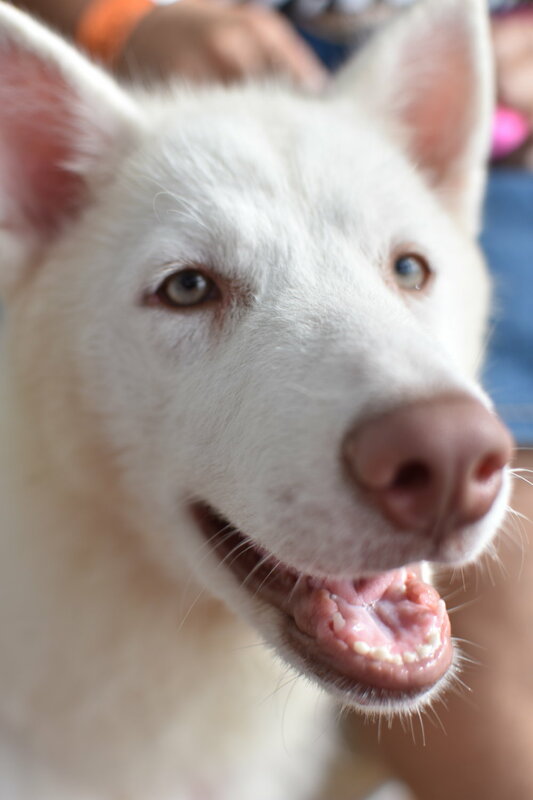 Even though The Sato Project is constantly facing cases of abuse and neglect, the pet owners of Fajardo helped remind us that for every act of cruelty we face, there is also someone else right behind it, just like us, trying to do good. Thank you, to our entire #satostrong community, for helping us serve those who are trying to do good for our beloved satos. You can read more of the stories of kindness we heard in Fajardo by clicking on the images below. 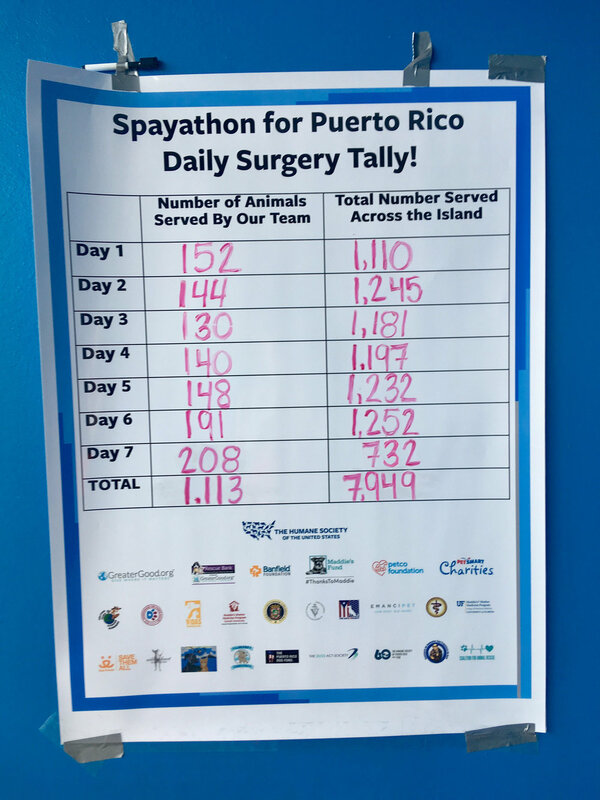 Over all of the Spayathon locations across the island for Round Two, over 8,000 surgeries were performed. And we are only halfway done. There are two more rounds to go. Round Three takes place February 3-9. History is truly in the making. Learn more about the Spayathon Coaltion by clicking here.